I learnt a valuable lesson in life when I started my doctoral research in physics & nano-technology. I always loved physics, but during my doctoral studies, I was not enjoying the aspect of spending all my time in an isolated lab performing one experiment after another. Doing laboratory research could be extremely lonely. Additionally, I always enjoyed solving more applied and practical problems which I believed was missing in my research work. After getting frustrated for some time I decided to take some career advice from a trusted physicist friend. Before you read further, I must warn you that physicists as a community are usually mathematical, and occasionally philosophical. Physicists prefer to create a simple mathematical model about a complicated situation. They slowly add complexity to this simple model to make it fit with reality. The following is the key point I discovered during that conversation with my friend. A simple model for life is a sine wave – where we go through ups and downs of moods and circumstances. Like a sine wave, we don’t spend much of our time either on the peaks or the troughs but most of our time is spent climbing up or sliding down. Now keeping these moods and circumstances cycle in mind, a perfect choice of career is where one could enjoy both climbs and slides – as the up and down cycle is inevitable in life. This prompted me to change my career from laboratory research to data science and business consulting. I am lucky that my career in data science and business analytics for over a decade has allowed me to check mark all these keywords. Now in the true tradition of physics, let me add some complexity to the simple sine wave model for life. We live in a society and interact with many people. Everyone around us has a different shape to their lives’ sine waves. The interference of different regular and predictable sine waves can produce patterns that are highly irregular and could at times be close to randomness. This is what is displayed in the adjacent chart where the product of four harmonic sine waves is an irregular shape at the bottom. Eventually, our actual lives’ function looks more like an irregular pattern produced through the interference of several sine waves. On some level the above is the fundamental principle behind Fourier series and Fourier transforms; most engineering and physics students will get a cold chill of fear at the mention of Fourier series. However, the basic idea is simple that the linear combination of sine and cosine functions (similar to our lives’ sine waves) can produce any complicated patterns including the irregular function we observed and much more complicated Fractals. I find it absolutely wonderful that a combination of harmonic motions can produce absolutely irregular patterns! Now the question is: why bother decomposing the original / actual time series into components? The answer: It is much easier to forecast the individual regular patterns produced through decomposition of time series than the actual series. This is similar to reproduction and forecasting the individual sine waves (A, B, C, and D) instead of the final irregular pattern produced through the product of these four sine waves. 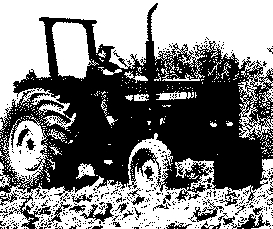 PowerHorse, a tractor and farm equipment manufacturing company, was established a few years after World War II. The company has shown a consistent growth in its revenue from tractor sales since its inception. However, over the years the company has struggled to keep it’s inventory and production cost down because of variability in sales and tractor demand. The management at PowerHorse is under enormous pressure from the shareholders and board to reduce the production cost. Additionally, they are also interested in understanding the impact of their marketing and farmer connect efforts towards overall sales. In the same effort, they have hired you as a data science and predictive analytics consultant. You will start your investigation of this problem in the next part of this series using the concept discussed in this article. Eventually, you will develop an ARIMA model to forecast sale / demand for next year. Additionally, you will also investigate the impact of marketing program on sales by using an exogenous variable ARIMA model. Whether you like it or not, life inevitably goes through up and down cycle. A perfect career or relationship doesn’t make the variability disappear from our lives but makes us appreciate the swings of life. They keep us going in the tough times. They make us realise that variability is beautiful! Hi Roopam, i’m a follower of your blog for quite a time now, i believe this is your crown jewel till now, i have been working on time series analysis for the last 8 years and this is the best explanation for trend and rationale for decomposing Time series, keep it up and looking forward for your next blog. Thanks Khalid! It’s flattering to receive such an adulation from a long term professional of time series analysis. Hope you will enjoy the remaining parts as well. Thanks roopam. You explain things better than any book or person I have encountered. You really really get your stuff and I (along with many others) really appreciate your knowledge sharing. Your articles are the holy grail for those who really want to understand these concepts. You should write a book on machine learning algo’s explained. I’d buy it! I do have plans to write a book with hands on application of all the case studies on YOU CANalytics along with data, exercises, and R / Python codes. The idea behind this book is to recreate actual thought process and effort of real data science and business analytics projects. I will need to take a few months off my schedule to draft this book, hopefully you will see something soon. is the book out soon? For now it is all on this blog. Will update about the book once I start to work on it. Thanks for checking though. Really one of the best explanation. I am a huge fan of yours. Thanks. 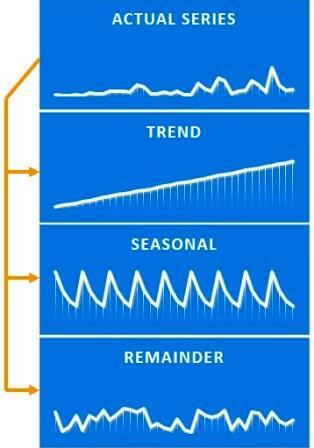 nice approach about the decomposing time series model. Very nice article! you got me on the “I must warn you that physicists as a community are usually mathematical, and occasionally philosophical”! I’ll be glad to help HorsePower! Looking forward for part 2! and to “Don’t settle”! It is possible to incorporate external factors in a time series model, however sudden war and draught are one-off events and hence you would rather not include them in the final model but study their overall effect on variable of interest (say pre and post tractor sales). Other regular interval variables like currency exchange make much more sense in the model. We will study one such variable i.e. marketing expense in latter parts of this case. Your blog is really great way to learn analytics. You connect the concepts behind various statistical techniques to life in a easy way. I often find books making these concepts difficult to understand and creating a disconnect between analytics professional and stakeholders (users) of analysis. Looking forward for your book. Wow. I just found out your blog, and love it! So much to learn, and so much insights. Thank you for the great article. 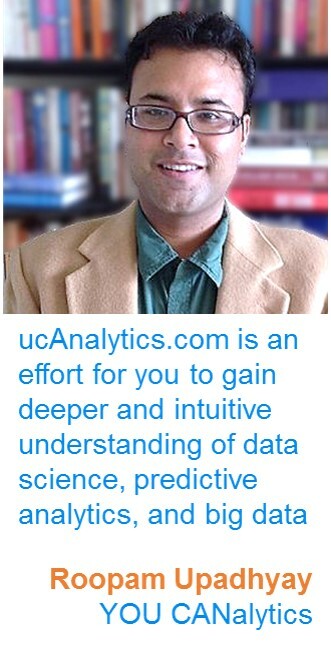 Hello Roopam Sir….I definetly think you should make a youtube channel on predictive analytics. I am sure people like me who aspired to be data scientist and predictive modelling expert will learn a lot from it. Thanks, Vikrant. Will keep this in mind. You might see something soon. It is great pleasure to have accessed your resourceful blog on Time Series Forecasting using R. Your blog is so unbundling of the so much complex issues of time series analysis. I am working on some rainfall time series data (annual totals) for 58 years. I want to model using ARIMA and have plotted the time series (original series) and it looks that the series is trend stationary. I further fitted a regression line and it shows a slight declining trend from the mean but insignificant. The ACF and PACF plots both show negative significant spikes at lag 6. *** What does this mean? Do I need to specify the number of observations to be used, I mean specify maximum number of lags when fitting the model? 1. How do I use the ACF and PACF plots of the original series to choose the model parameter? should I attempt differencing the series? 3. When forecasting, if the series is made stationary by whatever method, what series should I use to forecast? The original or the last order of making the series stationary? Hi Rupam, very nicely written article. Is is possible to get the sales data used in the example in Excel (text) file format? I am not conversant with R or SPSS, but familiar with excel. I teach first year and second year MBA students the basics of forecasting. As a teaching tool, I want to create spreadsheet to show to students how ACF and PACF are calculated. With the data, I can actually reconstruct ACF, PACF diagrams for students and also let them play with spreadsheet and get a feel of the whole process. excellent article on time series analysis. Just wanted to thank you for your excellent blog! I like the creative story you wrap around the methodology and listing of the mechanics (in R). I am very new to data science field and trying to start my career in this field.Due to this i was going through so many articles online since almost last 60 days. But to my surprise the way you explained the concepts of breaking a bigger problem into smaller ones wrt data science is remarkable. I must say its so easy that anyone can understand it and in my opinion the person who uses the language which is easy and can be understood by many have the basic concepts very clear. Pls keep on sharing ur knowledge it can help many.